The sensory assessment of food products using objective and quantitative methods can be critical to market success. Many food and drink businesses now require the sensory assessment of products as a matter of course. Such assessment is core to understanding a food product in its own right. It is also used for benchmarking products against similar products, such as those made by competitors. The Regional Food Academy's Taste Panel and Focus Group facilities are available to you and may be used by you to undertake your own sensory evaluation, or we can carry out the work for you. We run training workshops and consultancy services. We work with clients on the test design and test protocol (from receipt of samples and sample preparation through to discard of the samples). We screen, train, test and maintain standard of our sensory panel performance. Reporting, data analysis, statistical analysis including product mapping and interpretation are provided. 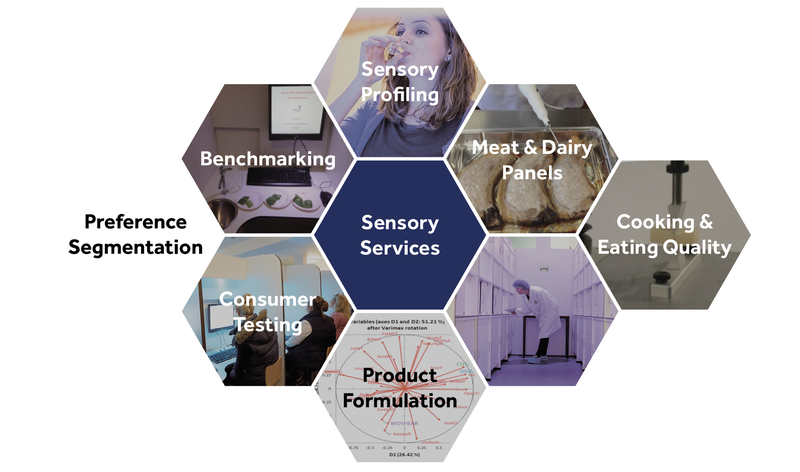 Our first sensory panel was established in 2014 for beef products. Our meat panel has assisted food industry to profile eating quality of pork, lamp, beef and chicken from various breeds and feed formulations. We have also recruited panellists for a dairy panel to provide services to the diary industry, mainly for cheese products.